Performers in the 2011 Tet parade in Westminster. Members of the GLBT community were allowed to march in the parade until the 2013 parade, when a new set of organizers banned them from doing so. 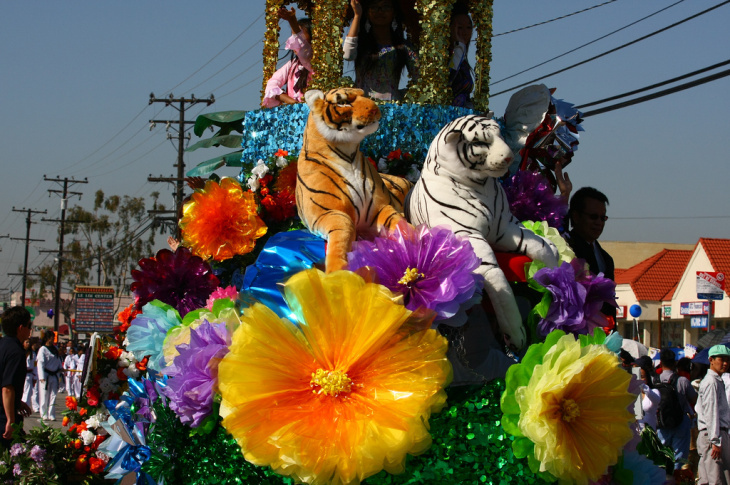 A float from the 2010 Vietnamese Tet Parade in Orange County. 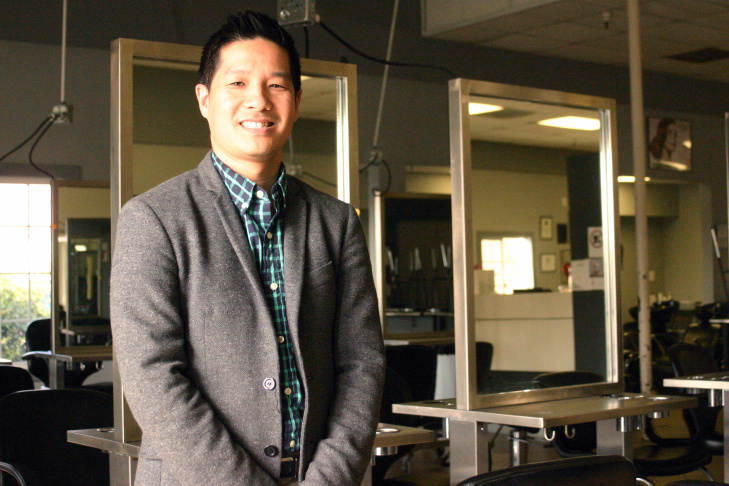 Tam Nguyen, 41, runs Advanced Beauty College, a family-owned business his parents started in 1978 in Little Saigon in Orange County after they escaped Vietnam after the fall of Saigon. Trang Truong, a student at Advanced Beauty College, is one of 400 students the family-run nails business serves each year. 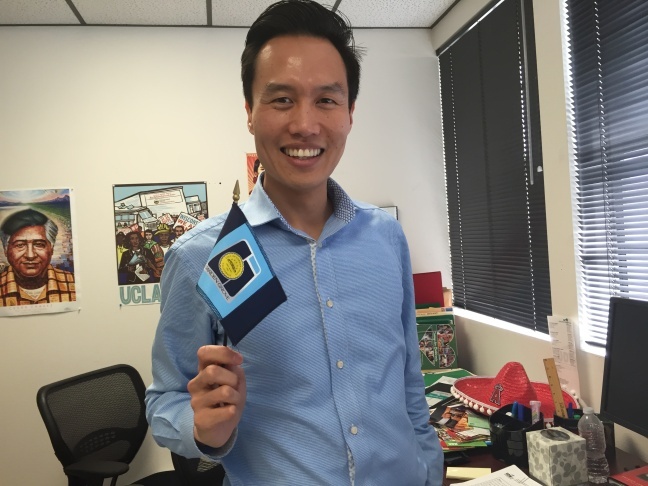 Mayor Bao Nguyen, 34, is the first Vietnamese American to lead the city of Garden Grove as mayor. He was elected November 2014. Thursday marks the most important holiday in Vietnamese culture – it’s Lunar New Year on the Chinese calendar, known as Tet. This year in Orange County a younger generation of Vietnamese Americans have taken the lead in organizing this traditional event. "They’re passing the torch to the younger generation, said Khang Bao, 30. “It’s a big thing because the first generation has been the one that organized the event." In 2013 controversy surrounded the parade because gays and lesbians, who had been allowed to march in the past when the city of Westminster funded the Tet parade, were banned from the event. That year, an older, more traditional Vietnamese American group took over organizing the event. But after much debate, pressure and a vote, LGBT groups were allowed back last year and will march again this year. Phong Ly, a lead parade organizer for this year, said the elders have come to respect the decision. It’s been 40 years since the fall of Saigon -- April 30th, 1975. Since then, waves of Vietnamese have sought refuge in California. What started in Westminster with three stores has grown into the second largest Vietnamese community in the world – now known as Little Saigon. Nguyen Hung, 68, had served 10 years in the South Vietnamese Marines when he came to the U.S. in 1975. The South Vietnamese flag represents a country that no longer exists. It's a yellow banner with three red stripes darting across its center. It still hangs high on flagpoles and stores in Little Saigon. But this symbol has less meaning for the younger generation of Vietnamese Americans who were born in America or came to California as children. "The flag and the country that I connect to the most is the American flag, more so than anything.” said Tam Nguyen, 41, who was born in Vietnam and was just 17-months old when his parents fled. The war killed people; tore families apart. His parents escaped Vietnam separately on helicopters and with the help of the Red Cross, found each other in California. Nguyen and his younger sister Linh Nguyen grew up speaking English in California schools and learning Vietnamese on the weekends at language school. They now run Advanced Beauty College, their parents' pioneering nail salon business in Little Saigon. 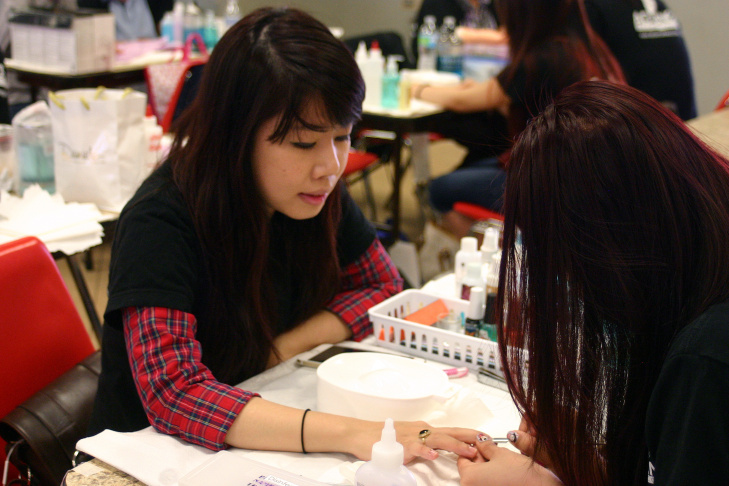 Since 1987, they have been training Vietnamese immigrants how to become manicurists. They have expanded the business over the last decade and opened a new school in Laguna Hills in 2012. "To carry the torch of what my father founded and his vision to make an impact for the Vietnamese and do well in America through the nails profession has been amazing," Nguyen said. Still, Nguyen said his father never misses a chance to remind him of his Vietnamese duty as a son and community member to give back and honor his heritage. Nguyen has had to rely on his father’s war stories of fighting the communists to understand the deep sentiment the South Vietnamese flag and country represent. “It’s a complicated relationship and it’s a confusing relationship as someone who was raised in the U.S. that sometimes I feel that I don’t understand," Nugyen said. "I want to learn more." That gap between the first and second generation was illustrated last week during a Garden Grove City Council meeting. Angry, older Vietnamese Americans wanted the council to send a letter to Riverside demanding an end tp a sister-city partnership with the Vietnamese city of Can Tho in the Mekong Delta. But Garden Grove Mayor Bao Nguyen, a second generation Vietnamese American, refused to sign the letter. Nguyen said although he understood the pain the Vietnamese suffered, he didn't think it was right to tell another city what it should do. "I can't stand by and continue to focus on what's not our priority," Nguyen said. "We must not allow those who seek to silence dissent by labeling others as communist. If we use the same tactics, how are we any different?" That was not popular with some of the elders at the meeting, who heckled him. Mayor Nguyen, 34, was born in a refugee camp in Thailand. He became a U.S. citizen after his parents were naturalized when he was 12. “The INS officer asked me if I wanted an American name," Nguyen remembered. "And I said, ‘My name is American.'" It’s this blended identity of the second generation that has influenced politics, business, even food in Orange County. Jeff Brody has studied the Vietnamese American community in Orange County for several years at California State University - Fullerton. He said the future of Little Saigon will depend on the habits of the second and third generations as more options for employment and business are available to them. "They don’t have to just serve a Vietnamese community because their English skills are as good as anyone who has been born here," he said. Stephanie Hang, 36, feels like she was born here. She came to the U.S. from Vietnam when she one year old. She and her family made a living running nail salons. Hang now teaches Vietnamese women and men how to do manicures and pedicures but you won't find her 15-year old daughter in her class. Hang said her daughter wants to be a dentist and her 19-year old son is in West Virginia studying to become a chiropractor. The next generation of Vietnamese Americans is now straddling two worlds. 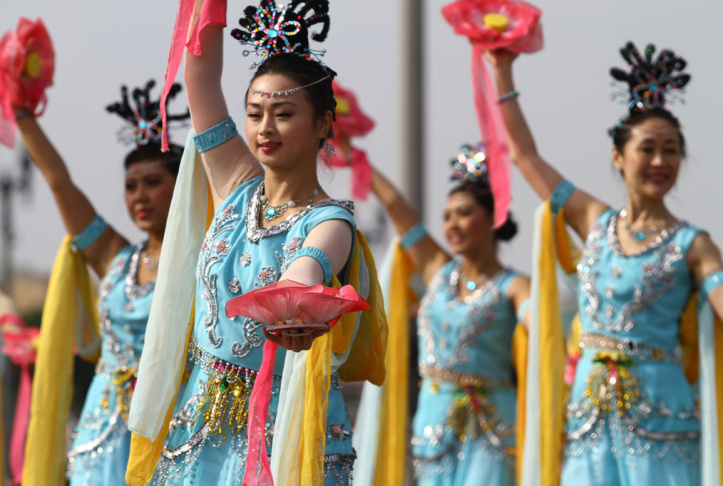 They are hoping to prove their leadership skills and bond with the elders at this year's Tet Parade in Little Saigon on Saturday, Feb. 21.